Going to Heaven? . . . Not So Fast! Let's ask ourselves a couple of questions, "Who has ascended into Heaven?" And, "Do we go straight to heaven when we die?" Many people say, they are "going to Heaven." But we need to add, "not so fast!" We first need to consider what we believe and if it matches with what Scripture says. It's easy to follow tradition, unless we read the Bible ourselves to discern what it has to say about a matter. It's been said that our minds are like a funnel. What we put into our minds leaks out, unless we continue to pour information back into it. In other words, our mind will forget what it originally learned unless we continue to study. Think of it this way: Did you ever watch a movie and then watch it again after a few years, only to have forgotten what much of it was like? Our memories get blurry over time. Details come out of movies that we watch a second time, and we think or we say to someone we're watching the movie with, "Wow, I don't remember that!" The point to be made here is that we need to continue to read and study the Bible for what it says and not for what others say it says. We don't want to live by traditions of men from the 4th century; we want to go back to the first century and live according to what they understood to be the truth. What we're going to find out today in Scripture is that the very followers of Scripture, and of Yahshua, in the first century, did not believe what most of the churches teach today about the idea of going to heaven when we die. And Yahweh Elohim formed man of the dust of the ground, and breathed into his nostrils the breath of life (neshama kahee); and man became a living soul (nephesh), Genesis 2:7 KJV. It was not too long ago that a Revealing The Truth episode was done in which I mistakenly mentioned the Hebrew word “ruach,” as breath, for this passage of Scripture. While the word was incorrect, the concept was true. That is to say, this air that was breathed to give life to Adam was spirit, which is also what "ruach" means. There are not only Hebrew words that have multiple meanings, but also Hebrew words that have similar meanings. Someone once said, "The three main rules for Bible study are context, context, and context." This is certainly the case for word studies and concepts formed from those words. In Genesis 2:7, one of the concepts, in context, is that man became a living being...a living soul. Soul (taken from the Hebrew word "nephesh") is essentially a word meaning life. But that life is still not eternal. Eternal life is something we are to seek after. The Ultimate Power which is able to give eternal life is from heaven, and even if we accept Yahweh's own begotten Son, now, as our personal Savior, we are not yet born from above. So, how do we explain what the Apostle John said in the following? If you know that He is righteous, you know that everyone also who practices righteousness is born of Him. See how great a love the Father has bestowed on us, that we would be called children of Elohim; andsuch we are. For this reason the world does not know us, because it did not know Him. Beloved, now we are children of Elohim, and it has not appeared as yet what we will be. We know that when He appears, we will be like Him, because we will see Him just as He is,1 John 2:29–3:2 NASB. Is this saying we are "born again"? It is saying we're "born of Him." But, maybe this is still one of those areas of Scripture we need to look at in context of an even clearer Scripture. 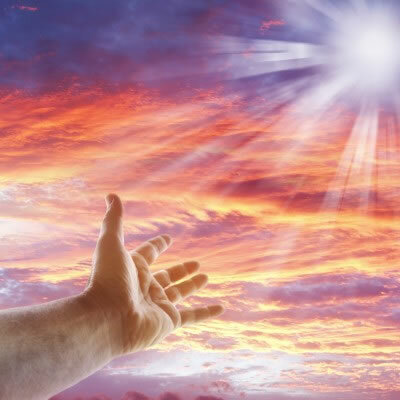 Yahshua answered and said unto him, “Truly, truly I say to you, unless someone is born from above, he is not able to see the kingdom of Elohim." Nicodemus said to Him, "How can a man be born when he is an old man? He is not able to enter into his mother’s womb for the second time and be born, can he?" Yahshua answered, "Truly, truly I say to you, unless someone is born of water and spirit, he is not able to enter into the kingdom of Elohim. What is born of the flesh is flesh, and what is born of the Spirit is spirit. Do not be astonished that I said to you, 'It is necessary for you to be born from above.'" Without this clear Scripture we wouldn't be able to explain what being truly "born again" means. Yet, many say they are "born again" without understanding the Scriptural understanding of being resurrected. Conceptually, we can understand that we are new creatures in Messiah. New beings, in a sense, internally, going through a change and conforming to a new Spirit within. We are waiting for a change to come which is yet future. A time to truly be "born again," "born from above." And, at what time is that; is it when we die? Is there a process Scripture gives us for our going to heaven? Being "born of water and of spirit," spoken of by Yahshua, is clearly speaking of baptism into water and receiving a special portion of Yahweh's Spirit with the laying on of hands by the eldership, in Messiah, which is part of the process today. Before all that, however, one needs to repent of former sins. Can a child do that? No, but that is a teaching that exists in many churches today. By thinking about the question, "Who has ascended into heaven? ", it will allow us to answer another fundamental question, such as, "Will we go to heaven when we die?" Or, alternatively, that other place? What did those following Scripture and the Messiah, the Son of Yahweh, understand? Let's get to the bottom of this by going to the Word. For the Master Himself will come down from heaven, with a loud command, with the voice of the archangel and with the trumpet call of Elohim, and the dead in Messiah will rise first. After that, we who are still alive and are left will be caught up together with them in the clouds to meet the Master in the air. And so we will be with the Master forever, 1 Thessalonians 4:16-17 NIV. What was the first century understanding of going to heaven? Do we go straight to heaven when we die? It doesn't appear that that was the case. We just read, "the dead will rise first," That is, in Messiah, when He returns. That is what, "After that," is saying. But, if there is no resurrection of the dead, not even Messiah has been raised; and if Messiah has not been raised, then our preaching is vain, your faith also is vain, 1 Corinthians 15:13–14 NASB. Did Paul think there was somehow not a resurrection? No, he strongly testified that there was and that there was a timetable for it to occur. For if the dead are not raised, not even Messiah has been raised; and if Messiah has not been raised, your faith is worthless; you are still in your sins. Then those also who have fallen asleep in Messiah have perished. If we have hoped in Messiah in this life only, we are of all men most to be pitied. But now Messiah has been raised from the dead, the first fruits of those who are asleep, 1 Corinthians 15:16–20 NASB. "Asleep" is a very strange thing to say, if, indeed, those in Messiah go straight to heaven when they die. However, what is the timetable for the resurrection of the Saints who have died in Messiah? We've already read in 1 Thessalonians 4:16-17 that the dead in Messiah rise first at His return. But each in his own order: Messiah the first fruits (First Fruit), after that those who are Messiah's at His coming, then comes the end, when He hands over the kingdom to Yahweh the Father, when He has abolished all rule and all authority and power, 1 Corinthians 15:23–24 NASB. Messiah, as a First Fruit, indicates there is more to the harvest than that, which Paul does indicate. The timing is also given. The resurrection of those in Messiah is "at His coming," 1 Corinthians 15:23. Has the Messiah’s return already taken place? Not unless wewere all sleeping when the voice of the archangel shouted and the trumpet was blown. Did you hear it? I didn't. Have we seen the Messiah come down? I don't think so, and Scripture backs that up. For as lightning that comes from the east is visible even in the west, so will be the coming of the Son of Man, Matthew 24:27–28 NIV. If what we've been taught doesn't match Yahweh's Word, then we have to reject it. Things like a secret rapture, or baptism of children, or using only titles to describe Yahweh would not be right to do. We should be like King David who had a heart to obey and honor Yahweh. Anything else brings death. Do not let me be ashamed, O Yahweh, for I have called upon You; let the wrong be ashamed; let them be silenced in the grave, Psalms 31:17 TS. Upon death everyone goes to sheol (the grave), not hell. The following is a description of the patriarch Jacob whose name was changed to Israel, who lost Joseph, his beloved son, for a time in Egypt, because his brothers got jealous of him and sold him to Midianite traders. All his sons and daughters came to comfort him, but he refused to be comforted. “No,” he said, “I will continue to mourn until I join my son in the grave.” So his father wept for him. The word here for grave is the Hebrew word "sheol." There are also other Greek words which should be considered, along with their meanings. • Sheol (Hebrew) The place hidden, covered. The grave or deep abyss. • Hades (Greek) The place hidden, covered. The grave or deep abyss. These are good words to look up and study, in context, as the word "hell" is a translation and doesn't always mean, conceptually, a place of fiery destruction. In the KJV, "hell" is listed at least 50 times, but the underlying word has to be considered as well as context. Also, not understanding Semitic flowery language (Hebrew idioms) can add to the confusion. The following has clear and not so clear language. For the living know that they shall die: but the dead know not any thing, (very clear) neither have they any more a reward; for the memory of them is forgotten (not so clear). The first part of this verse is one of those very clear Scriptures and it is indeed, Scripture. This is what they had in New Testament times as their Bible. Now there appears to be some flowery language in the second part of this with the idea that their reward is forgotten. Some scholars point out that their reward is symbolic for labors under the sun. But concerning the memory, people do tend to forget those who have died and been buried after a few generations have passed. As an example, many of us have no recollection of our great grandparents nor do we remember what their names were, even though we may have been told years ago. The question that the following Scripture presents is, "Can anyone understand in the grave?" Among the dead no one proclaims Your Name. Who praises You from the grave? (Psalm 6:5 NIV). This would have been the perfect time for clarification for the idea of "once you die you go straight to heaven or straight to hell." But it asks the question "Who praises You from the grave?" For further study of the concept of hell, as presented in many churches today, read our free in-depth and researched booklet entitled, "Understanding Hellfire." Would You work wonders for the dead? Would the dead rise to praise You? Selah. Is Your kindness declared in the grave? Your trustworthiness in the place of destruction? (Psalm 88:10-11 TS). The "selah" word is a marker to pause and consider what was just said or at least pause for the next section, as the Psalms are actually written to be sung and not just read. But the point is, the Old Testament didn't teach of going straight to heaven when we die; neither does the New Testament. There are some unclear verses which, when taken in context of the clear, have to be understood differently since the Bible clarifies itself. The following is a very clear and precise statement from one of the 12 apostles, Apostle John. And, no one hath gone (ascended) up to the heaven, except He Who out of the heaven came down—the Son of Man Who is in the heaven, John 3:13 YLT. This answers the other questions we had at the beginning:"Who has ascended to heaven?" The answer is very clear that it was Yahshua, the Messiah, the only begotten Son of Yahweh. Period. What does the Apostle Paul say? Does he say others are now in heaven? Men and brethren, let me freely speak unto you of the patriarch David, that he is both dead and buried, and his sepulchre is with us unto this day...For David is not ascended into the heavens: but he saith himself, Yahweh said unto my Master, "Sit Thou at My right hand," Acts 2:29, 34 KJV. Not even King David is in or was lifted up to heaven. This is significant, because of the fact David had a portion of Yahweh's Holy Spirit within him, as we do today by being properly baptized. Read the free detailed mini-study on, "Why Be Baptized into the Name of Yahshua?" For David is not ascended into the heavens: but he saith himself, Yahweh said unto my Master, "Sit Thou at My right hand." This is a quote from Psalm 110, and, in context, is speaking of Yahshua the Master sitting at the right hand of Yahweh. In context, of the letter of Acts, it is pointing out that it was Yahshua who ascended and NOT King David. It says, "For David is not ascended into the heavens." Not the first heaven, not the second heaven, and not the third heaven. This is key to understanding other Scriptures that seem to indicate Enoch or Elijah has gone to heaven. We have a previously presented Sabbath message specifically on it, and would recommend it be reviewed (called, "Enoch and Elijah," available on DVD, CD and/or online as a download at "Channel M" under Sabbath Services), as we won't have the time here to go into it. But we can continue to consider what is said of David which would apply to everyone else, except Yahshua. Now when David had served Yahweh’s purpose in his own generation, he fell asleep; he was buried with his ancestors and his body decayed, Acts 13:36 NIV. Death is described as "being asleep." This is what happened to King David; he didn't go to heaven, he didn't go to hell (as in a lake of fire), he died. And, in the future, he will be resurrected. This is the teaching of Scripture and this is what they understood in New Testament times. In fact, we should ask, "What were Yahshua's own teachings to the peoples?" For I have come down from heaven, not to do My own will, but the will of Him Who sent Me. This is the will of Him Who sent Me, that of all that He has given Me I lose nothing, but raise it up on the last day, John 6:38-39 NASB. "Raise it up on the last day?" Raise what on the last day? A reward? An assignment for people? What or who? While Yahshua, at times, spoke in parables to keep people in the dark about what was going on, in this instance, He actually clarifies Himself so that there would be no misunderstanding. For this is the will of My Father, that everyone who beholds the Son and believes in Him will have eternal life, and I Myself will raise him up on the last day, John 6:40 NASB. The dead stay dead until a future resurrection. Even if those who are dead, die in the Messiah. This is a very plain and clear teaching from Yahweh's Word. Then I saw thrones, and they sat on them, and judgment was given to them. And I saw the souls of those who had been beheaded because of their testimony of Yahshua and because of the Word of Yahweh, and those who had not worshiped the beast or his image, and had not received the mark on their forehead and on their hand; and they came to life and reigned with Messiah for a thousand years. The rest of the dead did not come to life until the thousand years were completed. This is the first resurrection. Blessed and holy is the one who has a part in the first resurrection; over these the second death has no power, but they will be priests of Elohim and of Messiah and will reign with Him for a thousand years, Revelation 20:4–6 NASB. The first resurrection is what we all want to be in. So what happens to our spirit when we die? In the beginning, Yahweh breathed life into Adam, but as Adam died, so do we, eventually. Then what happens? Again, it is appropriate, even vital, that we go to Scripture for the answer. Then the dust will return to the earth as it was, and the spirit will return to Elohim who gave it, Ecclesiastes 12:7 NASB. The spirit goes back to Yahweh, plain and simple. The understanding was and is, whether we have a portion of the Spirit (i.e., a portion of Yahweh's Spirit) or not, the spirit (i.e., life) goes back to Yahweh who gave it. Again, what happens? What does Scripture say? Let's not forget. Praise Yah! Praise Yahweh, O my soul! I will praise Yahweh while I live; I will sing praises to my Elohim while I have my being. Do not trust in princes, in mortal man, in whom there is no salvation. His spirit departs, he returns to the earth; in that very day his thoughts perish, Psalm 146:1–4 NASB. This agrees plainly with other verses in Scripture which plainly teach the dead know nothing, they don't plan anymore, they don't work; they are simply asleep. Until, that is, a future resurrection occurs, when they will be awakened out of their sleep. Request or read online, our mini-study "Just One Resurrection?" What happens to our understanding if we don't continue to study the Bible or rely on teachings from others whom we think are teaching the truth? Do your best to present yourself to Elohim as one approved, a worker who has no need to be ashamed, rightly handling the word of truth. But avoid irreverent babble, for it will lead people into more and more wickedness, and their talk will spread like gangrene. Among them are Hymenaeus and Philetus, who have swerved (or departed, as some translations say) from the truth, saying that the resurrection has already happened. They are upsetting the faith of some. It's wondered if the "going to heaven doctrine" wasn't already started at this point. Notice it was a cancerous teaching at this time in the first century. It is also an error in our own day, today, to think that somehow people have already been resurrected to heaven. It is contrary to what we find clear scriptures telling us today. Prophecy points to a time ahead for things to take place. Things such as the Great Tribulation or the resurrection to judgment or the resurrection of eternal life. It's all ahead of us. The nations raged, but Your wrath came, and the time for the dead to be judged, and for rewarding Your servants, the prophets and saints, and those who fear Your Name, both small and great, and for destroying the destroyers of the earth, Revelation 11:18 ESV. The wrath of Yahweh, the Great Tribulation, the giving of the rewards, destroying those who destroy the earth. ...None of these have happened yet, but they will. Do not marvel at this, because the hour is coming in which all those in the tombs shall hear His voice, and shall come forth—those who have done good, to the resurrection of life, and those who have practiced evil matters, to a resurrection of judgment, John 5:28-29 TS. "Who has ascended into Heaven?" The answer is, "Yahshua, and no one else, at this time." "Do we go straight to heaven when we die?" Especially, as is conceptualized today, with brethren receiving wings and entering into the pearly gates of heaven and resting on clouds looking down on the earth playing harps? The answer from Scripture is a resounding, "No." For further study, see our mini-study on the question of, "Do You Have an Immortal Soul?" Studies, which we provide as a free service, are to help you go to the source, the Holy Scriptures, for the answers. © 2007-2015 Yahweh's Assembly in Yahshua. All rights reserved.